Eating healthy foods is a great way to get proper nutrition and vitamins. However, many people are not keen on eating fruits and vegetables on a regular basis. One option is to blend various items into drinks or smoothies. There are so many fruit and vegetable combinations possible that you might find making a freezer smoothie kit to be a great idea. A basic freezer smoothie kit will consist of various items based on the type of smoothie you want. You may prefer a smoothie to other types of beverages, such as milk. Anyone who is lactose intolerant may discover smoothies made from a freezer kit is a better option. 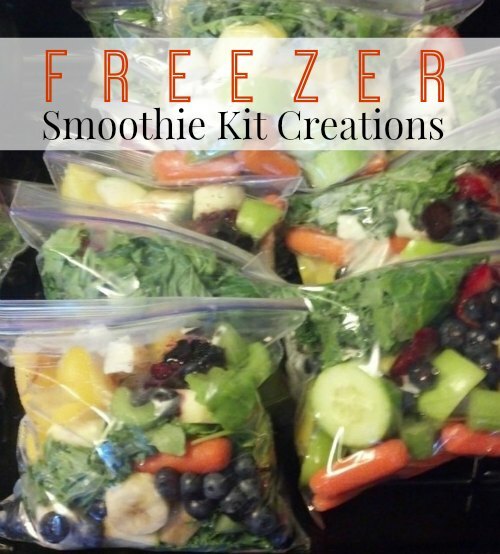 You can use various types of containers for your freezer smoothie kit. This includes a freezer container or plastic freezer bags. The addition of frozen ingredients means water and extra ice will not be needed. If a smoothie freezer kit is used directly out of the freezer, then a powerful blender is necessary. Another option is to thaw the ingredients before placing them in your blender. This can be done during the night by placing your smoothie kit in the refrigerator. There are many things to keep in mind if you want to make smoothies to have as a snack or a meal. Consistency is one of the most important factors and may mean that you will need to use a freezer smoothie kit that has been prepared instead of fresh non-frozen ingredients.